V8000 Series Test Modules deliver complete network protocols testing and emulating functionality on BigTao series test platform. 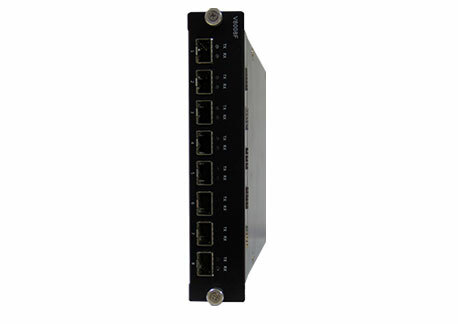 V8000 Series may meet the test requirements of all kinds of networking devices in each stage of R & D, experiment , quality control, performance monitoring and production line. With support of larger number of streams, higher port density and larger traffic capture memory V8000 Series offer a best cost-effective test solution. 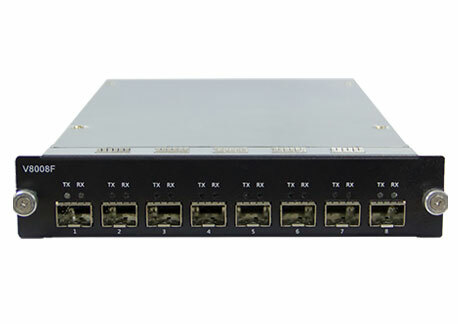 V8000 Series support a full IPv4/IPv6 stack. Each port can generate 64 streams with up to 4 variable domains per stream and simulate hundreds of thousands of interfaces and tens of millions of realistic connections. With plenty of protocol templates and customizable packet payload and rate, V8000 Series can provide complex protocol test and emulation. V8000 Series are supported in high performance chassis of BigTao200, BigTao6000 and BigTao12000, providing accurate chassis-to-chassis synchronization. ●Support a variety of protocols emulation including RIP, OSPF, ISIS, BGP, IGMP, PPPoE , DHCP, etc.